Ashfold School was founded as a prep school for boys in 1927 by James Harrison at Abinger Hill in Surrey. The School was evacuated to Canada during the Second World War and returned to a site at Akeley Wood in Buckinghamshire in 1945. 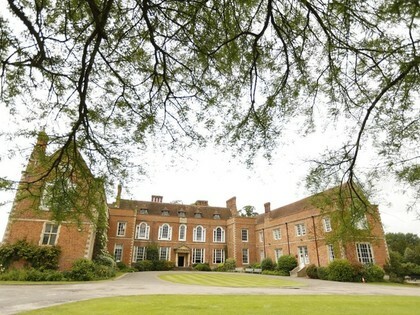 In 1946 the School moved to Handcross in Sussex until 1956 when it moved to its present location at Dorton House. The School became a charitable trust in 1976 and fully co-educational during the 1980s. Today, Ashfold is a thriving school with an excellent academic record; most of our children move on to a wide range of leading independent day and boarding senior schools, many with scholarships and awards. Dorton House was built between 1596 and 1626 by Sir John Dormer on the site of an earlier house. The architect is unknown but the house is noted for its elaborate 17th century plaster ceilings, imposing fireplaces and wooden panelling; the Saloon houses a very fine panelled screen with a carved frieze and strapwork crests. Alterations were carried out during the late 18th century and the 20th century. In 1939 the Royal London Society for the Blind (RLSB) bought the house as a school. In 1955, the RLSB moved the school to a purpose built property in Kent and took the name Dorton House with it. In 1955 James Harrison, Ashfold's first headmaster bought the house and surrounding estate for Ashfold School.